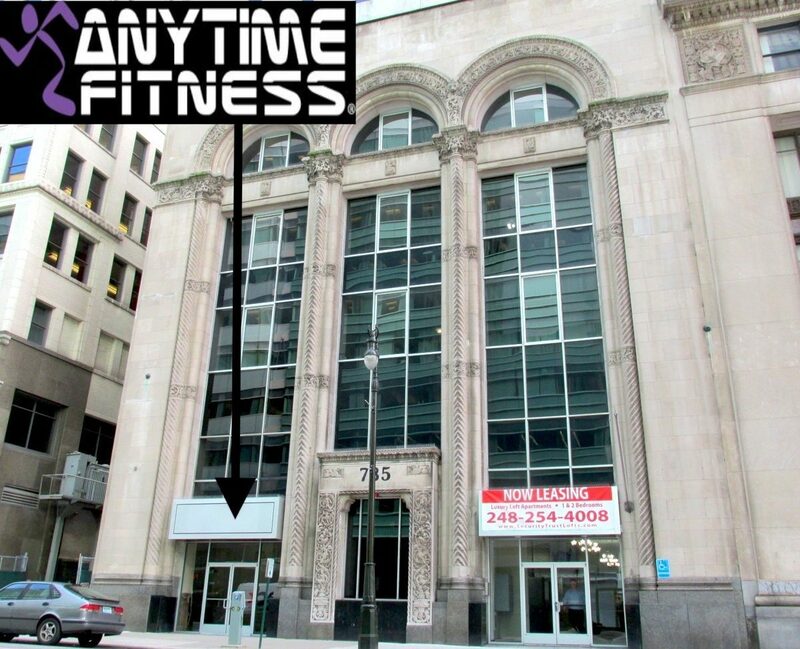 The rumors are true: Downtown Detroit is getting a new fitness center. A giant (and rather awesome) storefront within the Security Trust Lofts building will be home to Anytime Fitness, a 24-hour fitness chain claiming over 2,000 locations worldwide. According to Michael Ferlito of the Ferlito Group (the company building and operating the gym), most of the demo work inside of the storefront is complete and the gym is scheduled to open on New Year’s Day.